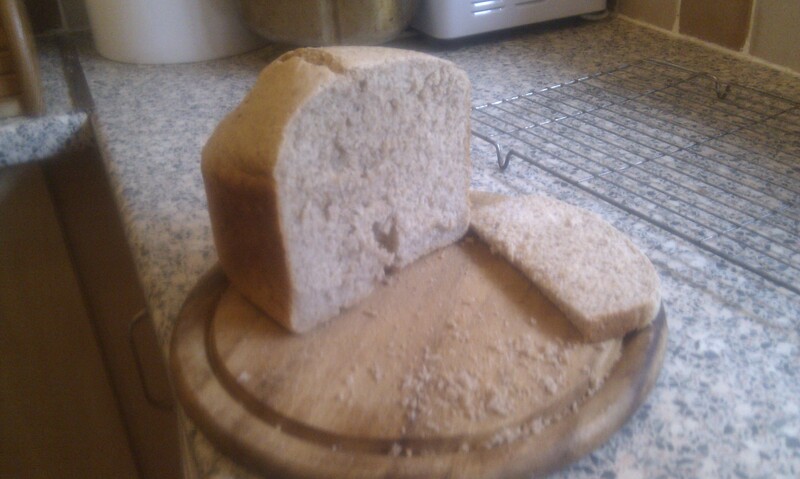 I’ve finally tried the Real Bread recipe from my “Baking cheaper, better bread” post. I have to admit I was pretty sceptical. about a third of the yeast I usually use, no sugar to feed it and no butter? 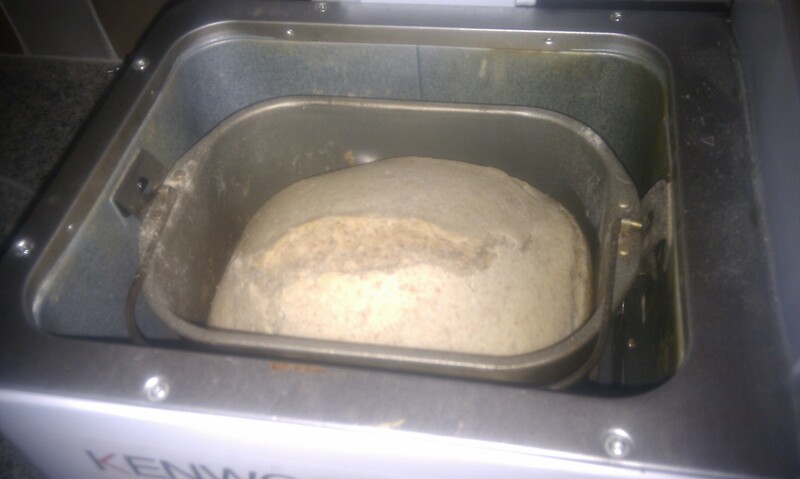 I put it into my standard one-hour breadmaker cycle and was expecting a flat, solid, uninspiring loaf. So, it’s edible, how much does it cost? We’re using the same prices as my original “How much does it cost to bake your own bread” recipe, minus the milk, butter, sugar, and with the new Doves Farm large packets of yeast we’re getting from Waitrose – 125g for 99p. 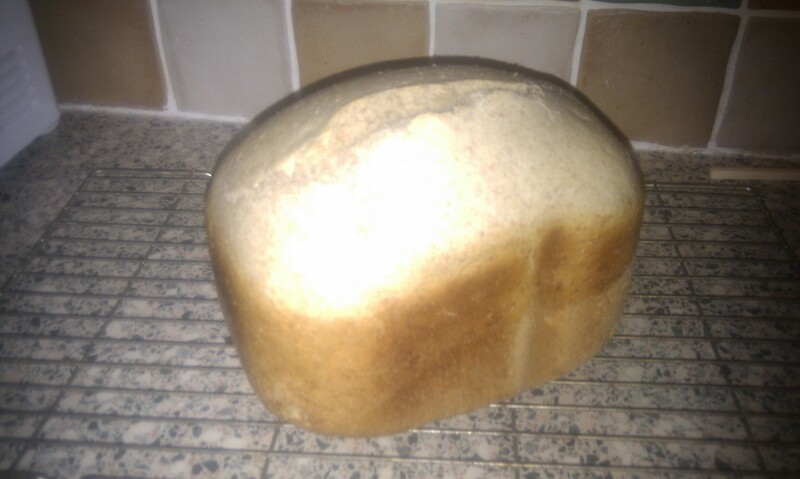 So this “Real Bread” recipe costs only 35p in comparison to my usual recipe’s 78p. That’s a pretty significant difference, so it’s our new favourite – until the next comes along! Any other suggestions? Almost forgot to add – now it doesn’t use any chilled ingredients it’s even more green, and it can be made out of standard store cupboard ingredients – even better for our Peak Oil prep. How much food can you grow around your house? Another great interview from Peak Moment TV. One woman’s experiment to see how much food she could grow from her own garden. She has bees, chickens and rainwater harvesting – it’s an inspiring video – take half an hour to watch, or at least listen, to one person’s view on sustainability and resilience – and the fun she has.